Avengers: Infinity War will feature a host of new pairings of heroes that are bound to become fan favourites. One dynamic that Marvel lovers can’t wait to see is that between Doctor Strange and Iron Man, as played by Benedict Cumberbatch and Robert Downey Jr. For Sherlock Holmes fans, in particular, their meeting will see two different Great Detectives coming face to face. But how will Stephen Strange and Tony Stark interact in Infinity War? They’re both very different heroes, with the former deriving his powers from magic while the latter is a genius scientist, but they do have similar sarcastic, arguably arrogant personalities. In a recent interview, Cumberbatch was asked how his character’s dynamic with Iron Man plays out in the movie, and while he was smart enough to avoid spoilers, the actor did tease that sparks will fly. Of course, Iron Man won’t be the only superhero odd couple Doctor Strange will be a part of in Infinity War. We’ve also heard a fair bit about his unlikely partnership with Tom Holland’s Spider-Man. 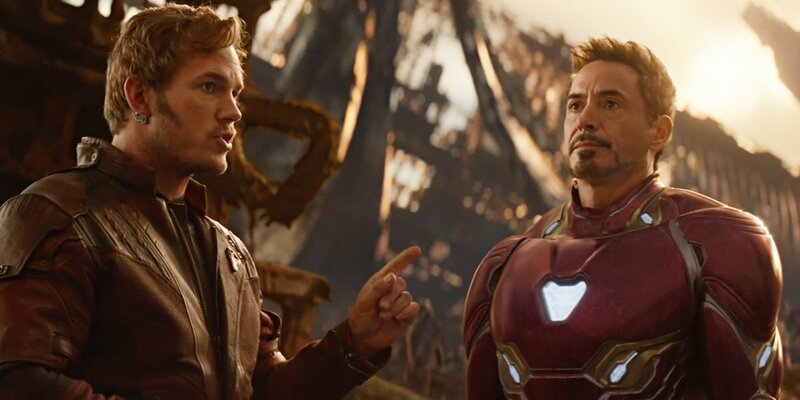 The Russo brothers have promised that the two characters have “great chemistry.” We got a hint of this ourselves in the most recent trailer, too, which featured a hilarious moment as Peter Parker mistakes Strange’s moniker for a made-up superhero name. In general, Stephen Strange is expected to be amongst the more prominent heroes involved in the film. After all, he has one of the Infinity Stones – the Time Stone, to be exact – in his possession, so he’ll be both one of the most valuable and vulnerable Avengers in the fight against Thanos. Avengers: Infinity War arrives in cinemas on April 27th.